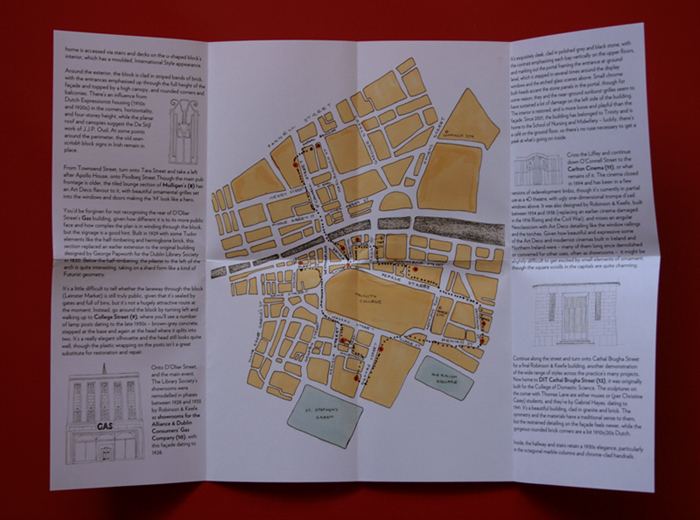 A self-guided walking tour around some of Dublin’s 1930s-ish* highlights, with eleven stops, and a brief introduction. 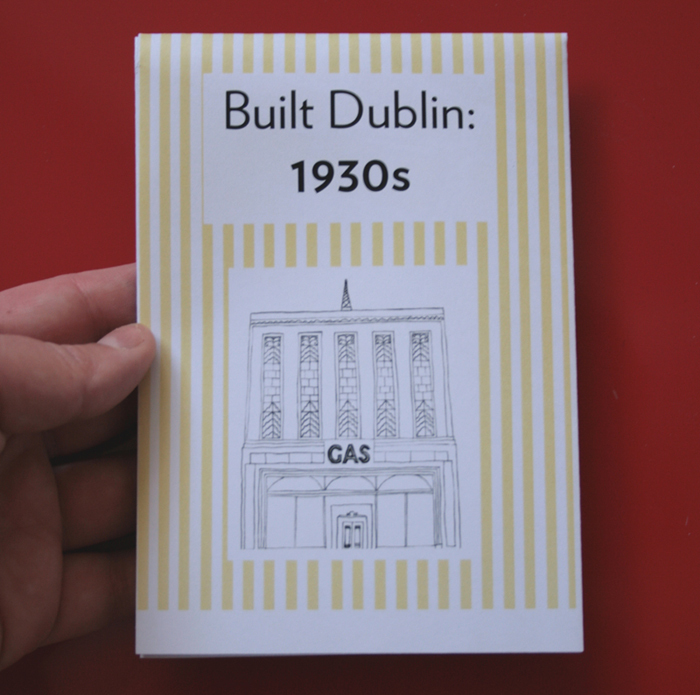 Prompted by how much I’ve been enjoying looking at some of Dublin’s art deco and earlier modernist buildings, I’ve chosen a selection in the city centre to tell a larger story, with all new writing (including a couple of previously featured buildings) and hand-drawn illustrations. In the style you will be used to from the blog, it’s an appreciation rather than a formal history, ideal for anyone interested in Dublin whether they’re very familiar with the city or just getting to know it. 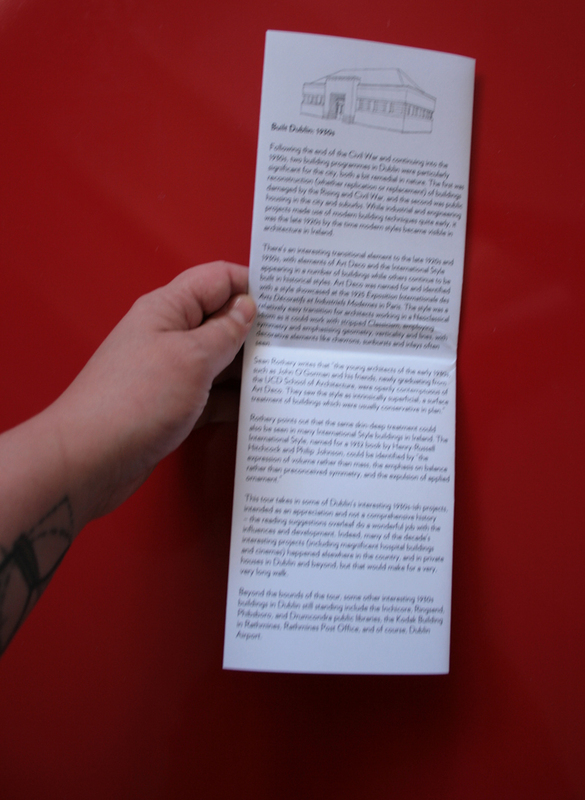 A3 folding down to A6, printed both sides. * Completion ranging from 1928 to 1942, including our 1928 cover star. 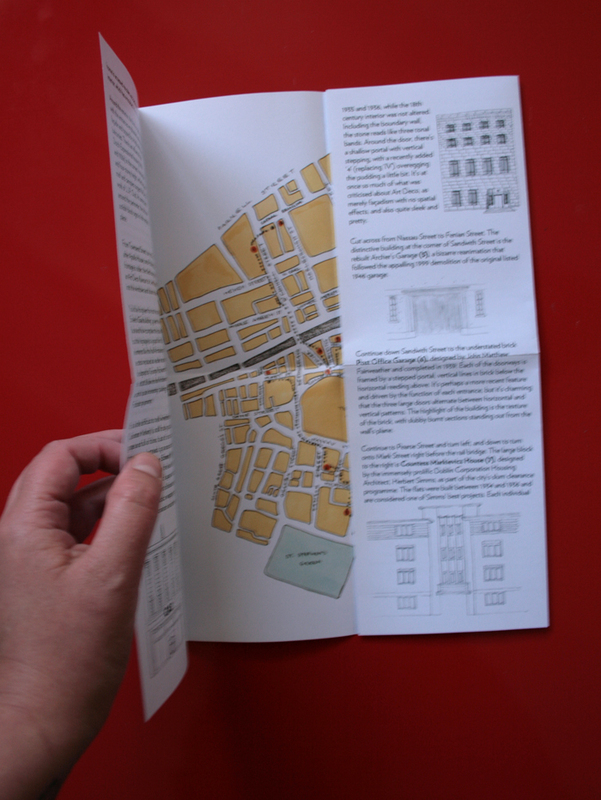 This zine is €4 plus €1 postage worldwide and will be posted from Dublin within 3 working days.